Welcome and thank you for visiting KRT Electrical Services page. 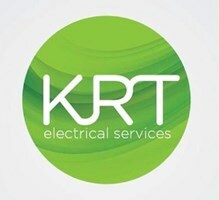 KRT Electrical Services is a family run business that is based in Halstead, Essex. I have over 10 years experience in electrical installation works and am a fully qualified, insured and Part P registered electrician which means I have the experience and knowledge to deal with every type of electrical service that you may require. Working pre-dominantly in the domestic sector, I pride myself on top of the range workmanship and high levels of customer service. Commercial electrical works are also undertaken. I always aim to provide my customers with the very best service, taking every possible moment to ensure the jobs I undertake are completed to as professional a finish as possible. This is reflected in my customer satisfaction and feedback. The work that I carry out can vary from the small to larger jobs within the home or commercial premises. I specialise in a wide variety of electrical installation works whilst religiously sticking to the correct wiring regulations as electrical safety is paramount. Emergency call out: Do you find yourself with a problem with your electrical systems? There is a high probability that you have already spent some time on the telephone trying to locate a tradesman. This is where I can help as I specialise in emergency calls. 24hr Call Out including Bank Holidays, Christmas & New Year. Call 24hrs on 07522 852192 now. Last minute works: Have you been let down at the 11th hour & time is running out for your schedule to come in on time? I also specialise in last minute works calls. 24hr service including evenings & weekends to get your project to come in on time. Call me anytime on 07522 852192 to discuss. Scheduled works: Would you like to enquire about some works you are planning on completing at some point in the future? Based in Halstead (Essex) but will happily work throughout East Anglia and the South East. This is Kevin Gower of KRT Electrical Services.